Asian PET producers have added to their price reductions this week under pressure from new capacities in the region and gradually slowing demand amid the nearing end of the high season. The price trend across the region turned down in late June in line with signs of easing concerns about tight supplies. 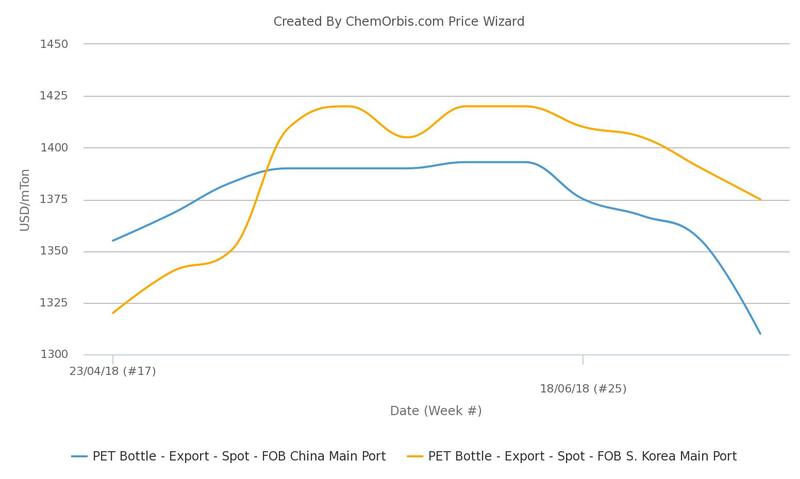 According to the weekly average data from ChemOrbis Price Index, export PET bottle offers out of China have hit three-month lows this week, with prices from South Korea also touching the lowest levels since early May. Global tightness concerns have eased further in tandem with recently resuming productions in Europe on the top of the capacity additions in China and Vietnam that helped the supply outlook find relief. Across Asia, approximately 1.6 million tons/year of new PET capacity has been brought on-stream during the last weeks. A South Korean producer confirmed that demand for their cargoes remained lackluster even after they applied new drops this week. 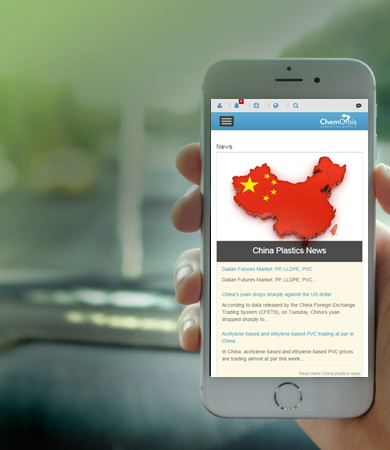 “We are facing competitive pressure from aggressive Chinese offers nowadays. We don’t expect a major recovery in demand any time soon,” highlighted a producer source. Chinese suppliers have started to direct their new shipment cargoes to the Middle East and Africa, according to some players in India, on another note.